Wow, my head is still spinning from everything that I learned and saw last week at our annual IPI retreat (that’s where all the photo lab people get together to share and learn new things)! It is so nice to work in such a creative industry where people are willing to share and help each other grow. Thanks to each and every one of you who work with and support us at f/32 Photo. We will continue to strive to support you, your businesses, and your passions in every way that we can. What more exciting way to celebrate the season than with a new lens?! 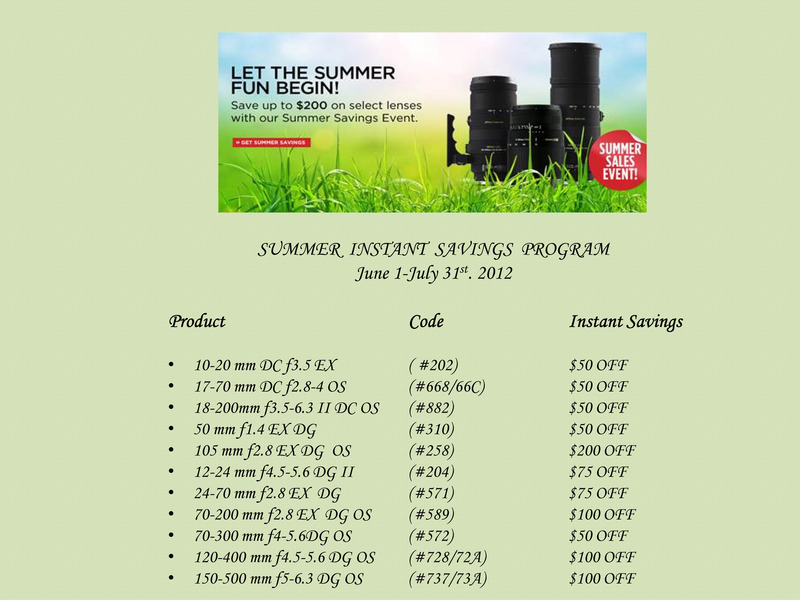 f/32 is a proud dealer and supporter of Sigma lenses, and we are excited to share with you some great savings for the summer! We know that a lot of people are slightly hesitant when it comes to stepping outside of your Canon/Nikon box, and we completely understand. But, we aren’t just a bunch of sales people looking to move product. Everything we sell is something we believe in; after all, we are photographers just like you! But if you need a little more convincing come rent a Sigma lens from our rental department! Click here to see what we have available! Check out these amazing deals, if you are interested in making a purchase or want more info swing by and lets chat!